The #1 Pittsburgh Sports Radio and more! 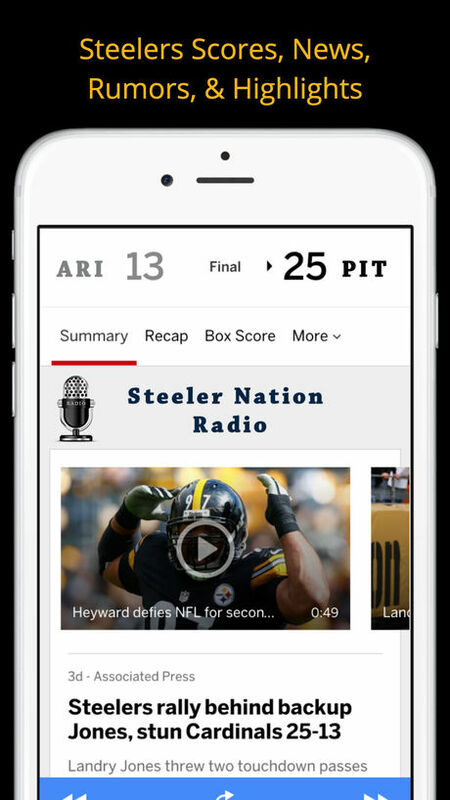 *****The best Pittsburgh sports app you'll ever find! - Listen to the Steelers, and Pirates LIVE in HI Def streaming! - The latest Steelers News, Highlights, videos, and articles. 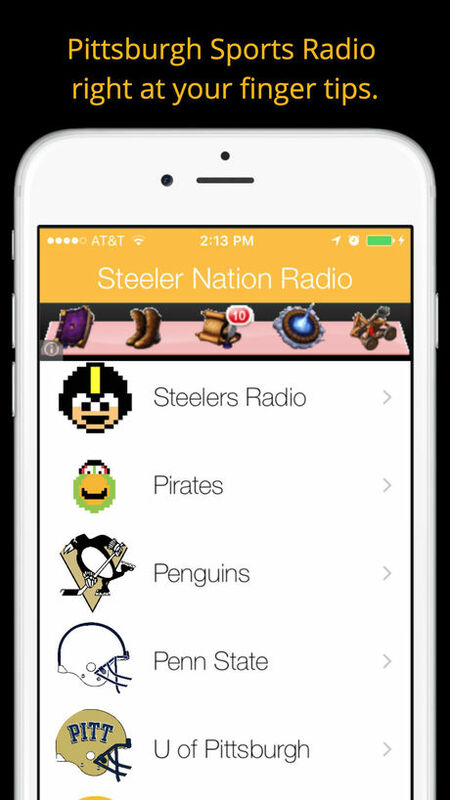 Pennsylvanians, Pittsburghers or Pittsburgh transplants this Steeler Nation Radio is made just for you. Not only does it have the best local sports radio and live games for the Steelers, Pirates, Penguins, and the area college football programs but it offers all the popular local Pittsburgh area AM FM stations all in one place. On top of that Steeler Nations provides you with the local Police & Fire radio for Allegheny County scanners to listen into in case of emergency. In the event a station is not working or you can't find one please email us under the "Settings" menu within the app and we'll do our best to add it.